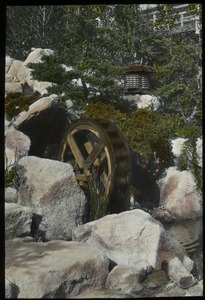 Shukugawa Park, Nishinomiya (Japan) - Hand-colored image of water-wheel, rocks, and lantern in Japanese garden. 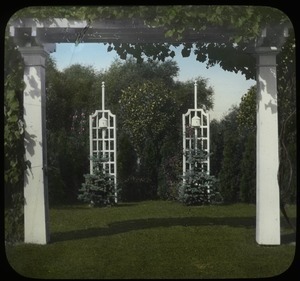 Saginaw (Mich.) - Hand-colored image of garden trellises with birdhouses seen through a grape vine-covered pergola. 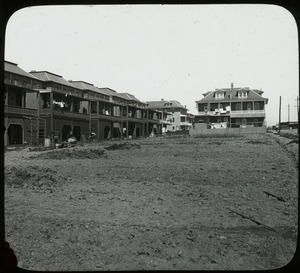 Image of dirt area behind row houses; location unknown. 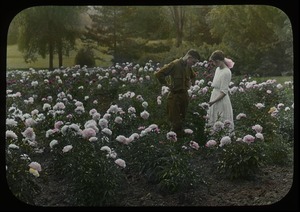 See also image 718. Amherst (Mass.) 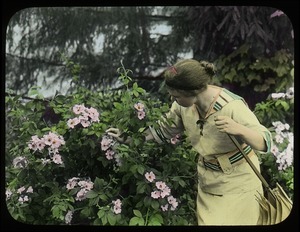 - Hand-colored image of young woman examining flowers; probably taken in or near Amherst. 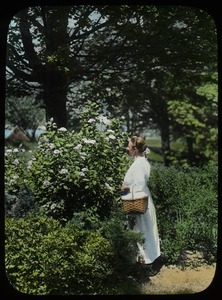 Shutesbury (Mass.) 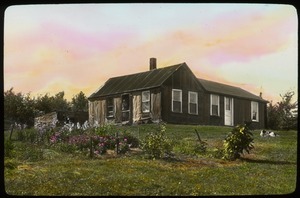 - Hand-colored image of rough Cape-style house on hill with flower garden. 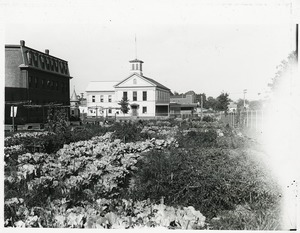 Massachusetts - Copy image of community garden (?) 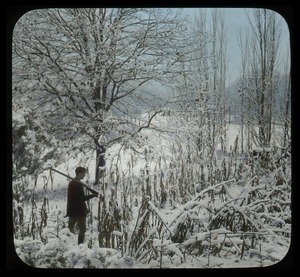 in unidentified town. See also image mufs088-b036-i018. Amherst (Mass.) 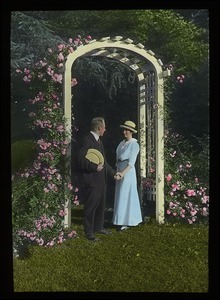 - Hand-colored image of couple holding hands in a garden under rose-covered arbor; photo probably taken in Amherst.